Vapefly Galaxies MTL Squonk RDTA comes with 2ml e-juice capacity and 6-level airflow control to offer perfect vaping experience. 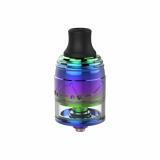 Vapefly Galaxies MTL Squonk RDTA, which has 2ml liquid capacity with 22.2mm diameter, comes with 360-degree surrounding airflow. 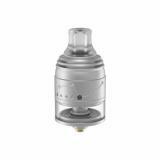 You can adjust airflow fron 1 level to 6 level to enjoy different vaping experience. 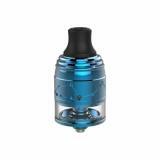 In addition, it adopts easy refilling with no leakage to bring convenient vaping. Please don't miss this excellent tank. Just take it. • Three-month warranty for Vapefly Galaxies MTL RDTA. • Quick link: Boss Device Cotton. 오늘도 탱크로 찾아왔습니다! 요즘 계속 RTA 또는 RDA만 소개시켜드렸었는데 오늘 소개시켜드릴 제품은 RDTA입니다! 바로 VapeFly에서 출시한 Galaxies MTL Squonk RDTA 입니다! 유행하는 기능들을 다 넣어논거 같네요 ㅋ 스퀑크핀에, 입호흡용에 RDTA라니 ㅎㅎ 아무튼 한번 봅시다! See more Vapefly Galaxies MTL Squonk RDTA review. This RDTA is really outstanding. I have him in silver and in blue. I like the look very much, but the taste is outstanding in my opinion. I use it with the enclosed Bf screw on a squonker and with the simple plus pole screw on a normal mod. Currently, both variations are among my favorite vapors and are in daily use. The deck is super easy to wind and the airflow guides the air sideways under the coils for a great taste. I would highly recommend this evaporator to any Mtl steamer. Best price at buybest, I choose many accessories here! Love BuyBest! The rainbow vapefly RDTA works well and has a beautiful appearance. Fast delivery!! 6-level airflow control suits my different flavor needs. Highly recommend!! Best flavor, everything very well so far. I'll buy more Vapefly Galaxies MTL Squonk RDTA for my friends. E' l'atomizzatore che mi sta dando più soddisfazione in assoluto sui liquidi fruttati. Nove spire su punta da 2,5 di Ni 80 sono le due coil in dotazione e vanno benissimo. E' facilissimo da rigenerare e non perde una goccia. Per me è il top degli atomizzatori. 6-leverl airflow control and Easy refilling with no leakage. This vapefly RDTA is my favorite now! Vapefly Galaxies MTL Squonk RDTA made of stainess steel. It is easily filling avoid leakage. Bottom features 360 surrounding airflow and super assemble chamber. Because the air come in from bottom and two side airflow. With a 2ml capacity.